When people or companies load up on too much debt—especially low-quality debt—it can lead to a crisis. 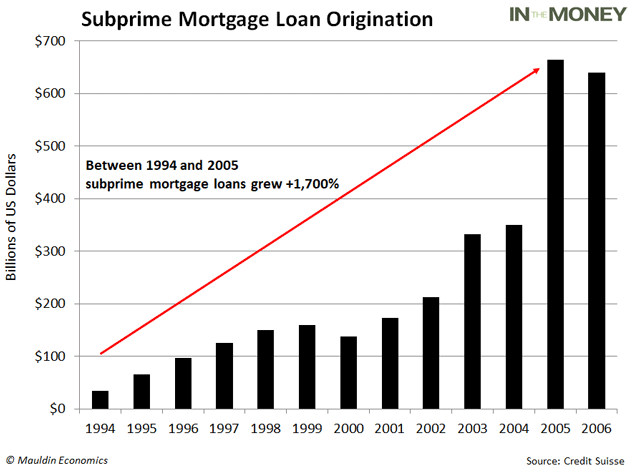 From 2004 to 2006, subprime mortgages grew from 8%—near the long-term average—to 20% of the total mortgage market. The closer to triple-A, the safer the bond. 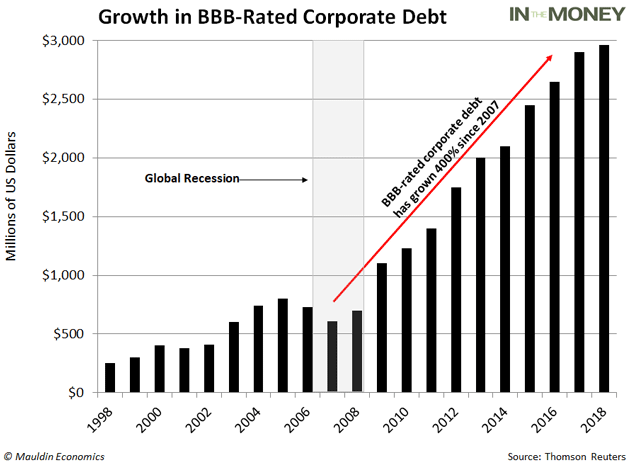 In just the last 10 years, the triple-B bond market has exploded from $686 billion to $2.5 trillion—an all-time high. 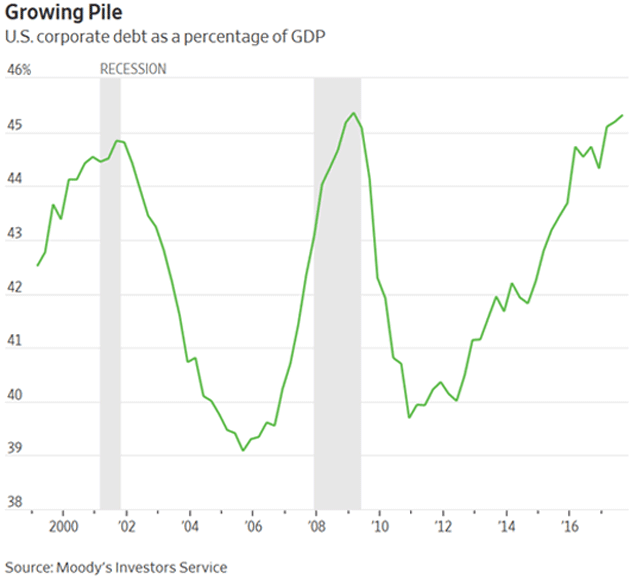 Clearly, we have a corporate debt problem in this country. That’s why we’ve assembled a star-studded panel dedicated solely to debt at this year’s Strategic Investment Conference. The most famous name on the docket is Howard Marks. Mr. Marks is the co-chairman of the $120 billion debt-focused hedge fund Oaktree Capital Management. He’ll be talking with Carmen Reinhart. If that name sounds familiar, that’s because she’s the co-author of the book This Time Is Different. It’s the definitive work on the history of government debt crises. Having one of the best debt investors and one of the leading debt experts is a match made in heaven. And those are just two of our guests. I can’t reveal his name yet, but there’s one speaker in particular that you won’t want to miss. I’ll release more details on this at a future date. For now, tickets for the conference—held May 13­–16 at the Omni Hotel in Dallas—just went on sale last week, but seats are selling fast. And until February 18, you can get priority pricing and save $1,000.